The farmer nods his head in reply. As the cart starts moving again, he returns to the field to harvest the last bushels of grain, growing between the stumps of what used to be a lush forest — three turns ago. 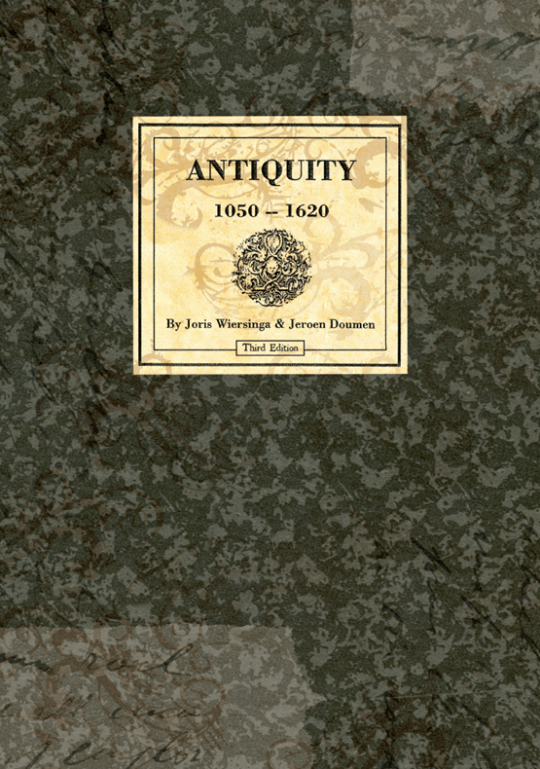 Antiquity is a strategy game for 2-4 players. It is set in an environment loosely modeled on Italy in the late Middle Ages. Players choose their own victory condition: they can focus on population growth, trade, conquest, or city building by choosing their patron saint. Each strategy requires a completely different style of play. Or you can choose to adore Santa Maria, the most powerful saint of all — but you’ll be expected to build a civilization twice as impressive as any other player. While your economy is constantly improving, with more and more advanced cities bringing new options each turn, the land around your cities is slowly being depleted, forcing you to travel further and further to gather your raw materials — until finally, there is no more land left to farm. Let’s hope one of you has won the game before that time!